Every adult should have a will so that in the event of their death, their possessions are allocated according to their wishes, but none more so than a parent. Parents must not only ensure that their children are provided for, but that their children become the legal wards of guardians of their choosing as well. Though it may seem frightening and possibly confusing, making a will is an essential part of being a responsible parent. 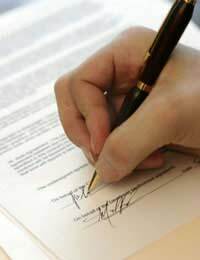 A will is a legal document that details your wishes for your children and possessions in the event of your death. If you were to die without a will, then the law would decide to whom your children are entrusted and how your assets will be distributed. It is possible to write a will yourself, but to guarantee that your will is legal and valid it is always a good idea to engage the services of a solicitor. Solicitors will be able to advise you on the laws regarding your property and how Inheritance Tax will affect your plans for your possessions. Solicitors’ fees will vary and you can also seek help in writing your will from a Citizens Advice Bureau. What Do I Need to Include in my Will? Will Just One Will Do? Each adult should write their own will, including married couples. This will should be updated every three to five years and particularly after a momentous event (marriage, divorce, death of a partner, etc.). What If I Want to Leave Something Out of a Will? By law, your will will only cover the items that you fully own so you should include all personal property in your will. However, if you do choose to leave something out of a will then the law will decide who stands to inherit it at the time of your death. Leaving a person out of your will is another story and you have every right to include only those people who you desire. Be aware though that if there is a party who you leave out, such as an ex-spouse, a live-in partner of over two years, or a child/step-child, this party may be able to contest your will in court. It is advisable that if you are thinking of leaving someone out of your will, you write a letter stating your reasons which can be read in the event that your will must be defended in court. Your solicitor or Citizens Advice Bureau will be able to give you more information about this subject in regards to your personal circumstances. Making a will is not technically a legal necessity, but all responsible adults should compose a will just to be on the safe side. Don’t let fear or confusion keep you from providing for your family in the event of your death.